Many people have always believed that juggling successful motherhood with a successful career is somewhat impossible, despite all the clear-as-crystal examples we’ve seen come and go over the past decades – including some of our own mothers. Well, with Mother’s Day just around the corner, it might be the perfect time for me to prove all those pessimists wrong! We all remember Victoria Adams as the somewhat sour-faced ‘Posh Spice’ from the Spice Girls back in the late 90s. Fast forward to 2019, and she’s possibly one of the world’s greatest fashion designers and businesswomen, selling lush collections of clothes, accessories, shoes and even eyewear, and boasting a reported net worth of US$450 million overall. What’s even more impressive about this extraordinary business mogul is her happy 20-year marriage to football superstar David Beckham, plus the fact that she’s a seemingly very hands-on and caring mother to four beautiful children. And you know, as harsh as this will sound, celebrity romances are quite often doomed to fail – so my hats off to the Beckhams! Known for her sultry yet somewhat childlike facial features, Jessica Alba began her career as an actress at the age of 13, when she played Gail in the 1994 adventure comedy film, Camp Nowhere. It wasn’t until the early 2000s, however, that she started to receive global recognition, when she starred in blockbuster hits such as Honey, Sin City, and Fantastic Four. Adding to her successful acting career, Jessica Alba’s entrepreneurial skills turned out to be just as impressive, when she founded The Honest Company – which sells over 100 types of organic, baby-safe household products – and an ethical beauty and makeup line, Honest Beauty. What’s more, Alba is a proud and loving mother to three adorable children, born from her decade-long marriage to Cash Warren. Love her or hate her, the matriarch of the Kardashian and Jenner empire (often dubbed ‘Momager’) is quite an extraordinary person, both as a businesswoman and mother. Many of us may not agree with all that she represents, but we certainly can’t doubt her astonishing money-making and management skills on a vast range of platforms – whilst managing a total of six children! Many years before she rocketed to fame, Jenner briefly worked as a flight attendant to support herself after graduating from high school. It wasn’t until after her second marriage that she began to conjure up shrewd business and management ideas, which eventually led to the birth of her family’s current success in television and business. Today, on top of her long-running globally watched reality TV series, Keeping Up With the Kardashians, Jenner also runs her own production company and has even dabbled with TV hosting and authoring, having also launched her own makeup line – all while continuously managing the careers of her six children. Aside from her famous good looks, Angelina Jolie has established her much-deserved stardom with the extraordinary acting talent she’s demonstrated throughout the years, portraying a variety of notable characters in movies such as Girl Interrupted, Tomb Raider, Salt, and more recently, Maleficent. She’s also a well-recognized humanitarian, having worked as a UNHCR ambassador, dedicating much of her work to causes such as child immigration and education, and human and women’s rights. Jolie has six children in total: three biological children from her marriage with Brad Pitt, and three she adopted from Cambodia, Ethiopia and Vietnam. She’s often seen out and about with all six of them, and she definitely seems like she does a great job being a mother! 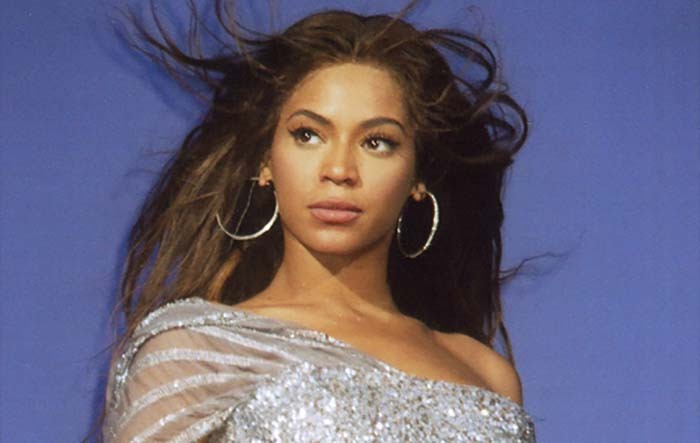 When it comes to music, Beyoncé has just about done it all: singing, song-writing, dancing, and record producing. She’s known for her wildly flamboyant presence on stage, and before going solo, she was the lead singer of 90s R&B group, Destiny’s Child. She’s also an activist and philanthropist, and has worked on a number of business ventures, owning a couple of businesses of her own, and having signed endorsement deals with several major worldwide companies. She’s also founded a women’s fashion line with her mother called House of Deréon, and last year announced that she’ll be offering US scholarships worth $100,000, aimed at students attending Historically Black Colleges and Universities (HBCUs). Happily married to rapper Jay-Z since 2008, Beyoncé also happens to be a dedicated family woman, and currently mothers three adorable children!